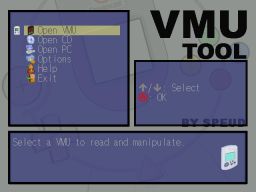 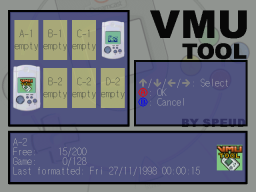 Select the VMU you want to load the dump to. 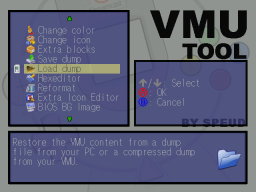 Select the "Load dump" option. 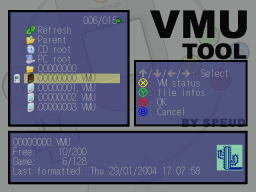 Your PC harddrive or CD will be scanned. 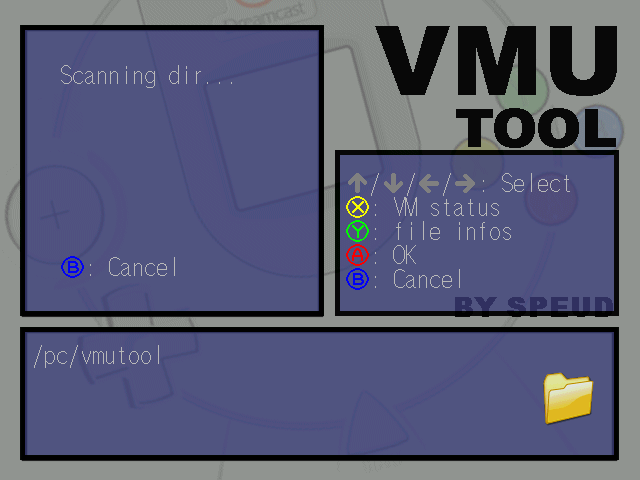 Wait the scan finishes and select a directory to load the dump from. 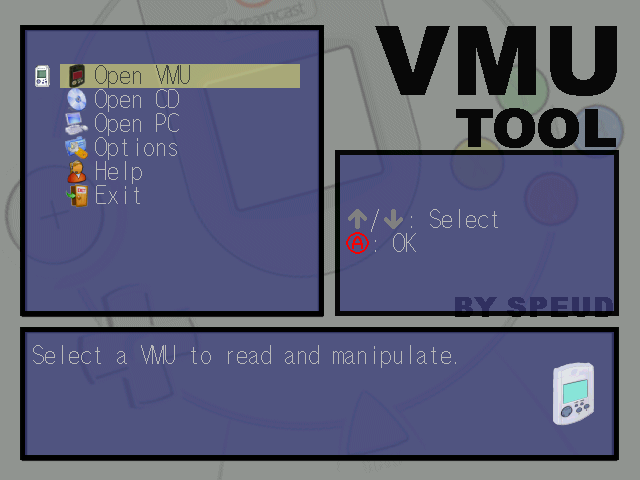 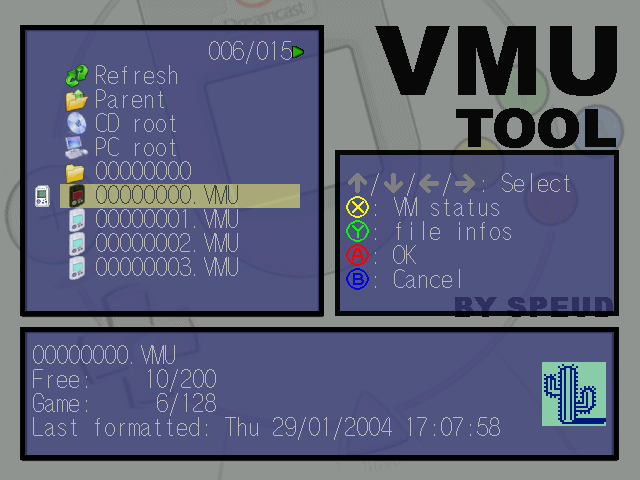 Files list is made of VMU raw dumps with .VMU extension and Nexus card dumps with .DCM extension. Dump infos are displayed in the bottom frame. The selected dump will be loaded and will replace the content of the VMU you selected. 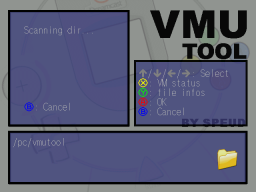 Press Start to confirm or B to cancel.